Bill To Abolish Department Of Education Introduced By GOP Lawmaker : NPR Ed A congressman has introduced a one-line bill that would kill the department. Legal scholars call it "symbolic legislation." Meanwhile, the House has voted to curtail some key education regulations. 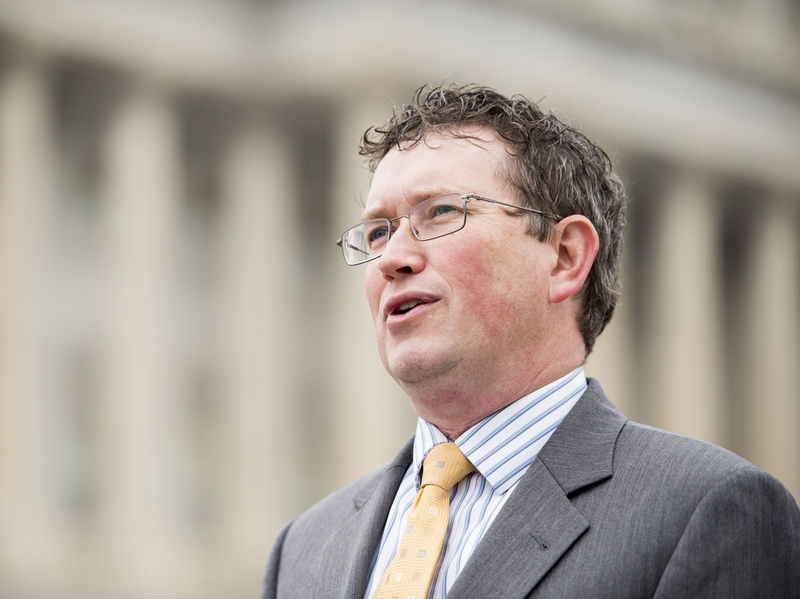 A House lawmaker has introduced a bill to "terminate" the U.S. Department of Education. The House of Representatives also voted to throw out a lot of rules that were decided on just last year. These rules tell states how to comply with the new federal education law with regard to identifying and improving underperforming schools, as well as evaluating teacher-preparation programs in higher education. Rep. Thomas Massie, R-Ky., has introduced a bill in the House stating: "The Department of Education shall terminate on December 31, 2018." Speculation about DeVos and what her leadership might bring has generated millions of clicks this week. For insight on these other two developments, I called up David Schoenbrod. He's a professor at New York Law School and the author of several books about the congressional role in crafting law and regulation. 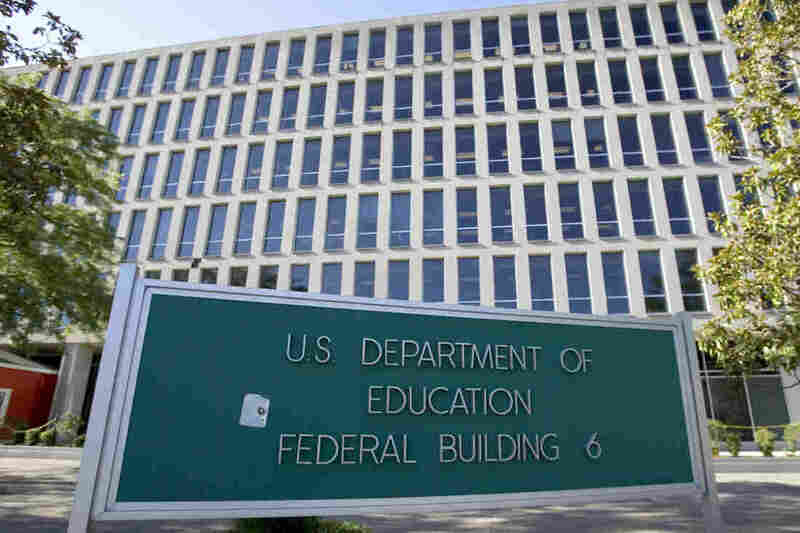 Spoiler alert: The Education Department is unlikely to be eliminated, particularly by a bill that declines to specify who or what would take over its $68 billion annual budget and the functions of data collection, oversight, civil rights enforcement and student aid, among others. "Whatever you think about the Department of Education, the idea you could eliminate it with a one-sentence bill is just posturing," Schoenbrod says. "Posturing is not something that's just done by Democrats or by Republicans. It's done by both." This issue is personal for Schoenbrod. Back in the 1970s, Schoenbrod was staff attorney for the Natural Resources Defense Council, fighting for Congress to ban lead in gasoline — which made its way into air, water and the bloodstreams of children with harmful and deadly effect. Because legislators did not specify a timeline or a mechanism, he argues, enforcement was delayed by a decade. "They voted for the symbolism but didn't want to take responsibility for how it was done," Schoenbrod says. In the field of environmental law, this form of kicking the can down the road is known as "symbolic legislation." The fate of these regulations, part of the Every Student Succeeds Act, or ESSA, is a slightly different matter. But it's also something that Schoenbrod has experience with. The House is invoking an obscure power granted by something called the Congressional Review Act. As our colleagues at Planet Money recently explained, this 1996 law gives Congress the power to nullify any regulation passed in the last 60 days, with the president's signoff. This basically comes into play only when there is a changeover of government, as we have now. President Trump has already paused the implementation of these ESSA rules, and the White House has reportedly said that he will sign the revocation if it passes the Senate. The lead senator on education issues is Lamar Alexander. The Tennessee Republican chairs the powerful committee that handles education. His office declined to say what he might do, but referred us to the public statements he made when these rules were finalized. He didn't like the teacher-preparation one. On accountability, he said, "I will carefully review this final version before deciding what action is appropriate." Schoenbrod has long advocated for requiring Congress to vote on the details of how laws are implemented. "The Constitution was against taxation or regulation without representation," he argues. But the Congressional Review Act as it now exists is different. It just gives Congress the power to throw the rules out, not the responsibility for making new ones. In this case, if the House bill passes the Senate and receives the president's signature, it will then be up to the states to decide how to fulfill ESSA when it comes to defining, and correcting, schools that consistently perform below expectations. This "could disrupt the progress states have made over the past year to transition to ESSA," says Chris Minnich, the executive director of the Council of Chief State School Officers, "unless the U.S. Department of Education acts quickly and provides states with the clarity they need around the implementation of the law." Given the upheaval, most states will wait until September of this year to submit their final accountability plans, which will be unlikely to go into effect until the 2018-2019 school year, says Jeremy Anderson, president of the Education Commission of the States. Making their own policy, rather than simply enforcing federal rules, would be "a big heavy lift for the states. It's a totally different mindset."